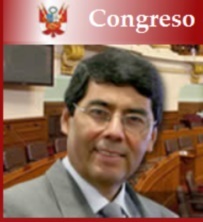 Congressman Jaime Delgado of Peru. A member of Peru’s Congress has raised concerns about the legitimacy of the WCM777 “program,” Peru21 is reporting. The news site identified the Congressman as Jaime Delgado. Here is a link to the Peru21 story in Spanish. Here is a link to the story as translated in English by Google Translate. Colombia already has opened a probe into WCM777’s business practices. In the United States, meanwhile, the state of Massachusetts has filed a consent order that bars WCM777 from operating there. Google searches show that WCM777 has a presence in Peru. Delgado is a founder of the Peruvian Association of Consumers and Users (ASPEC). His photo appears on the ASPEC site. He has served on several Congressional committees, including one dealing with consumer protection.